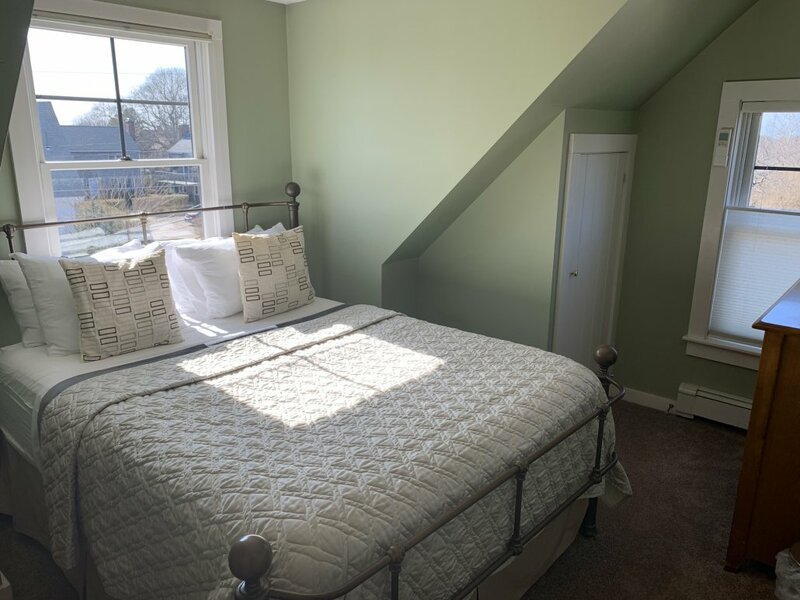 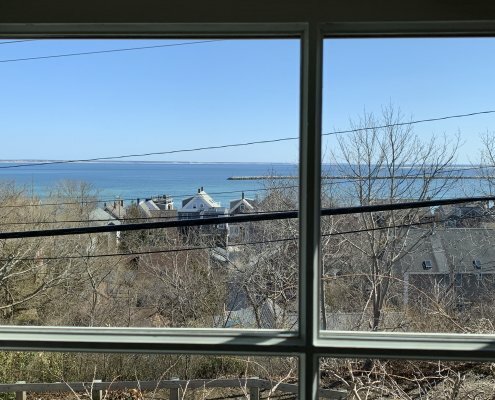 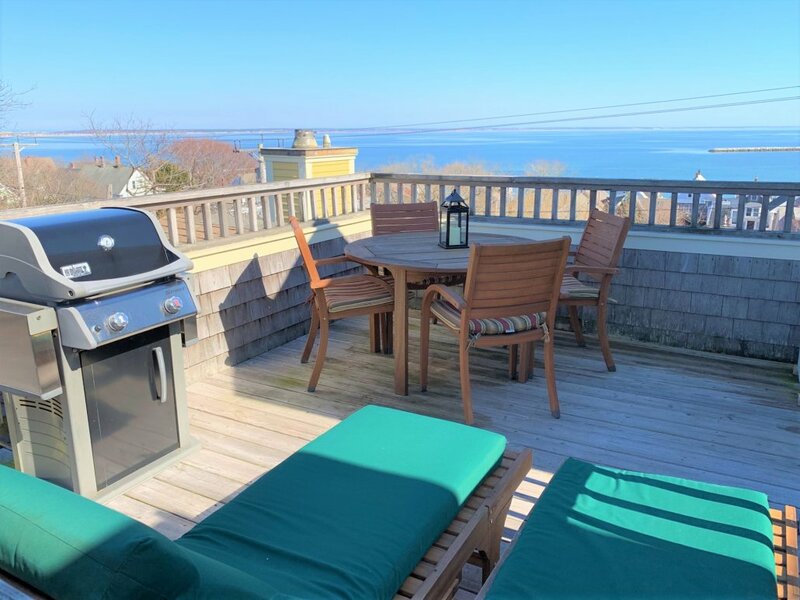 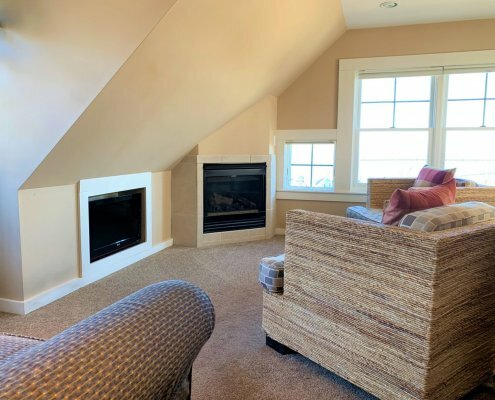 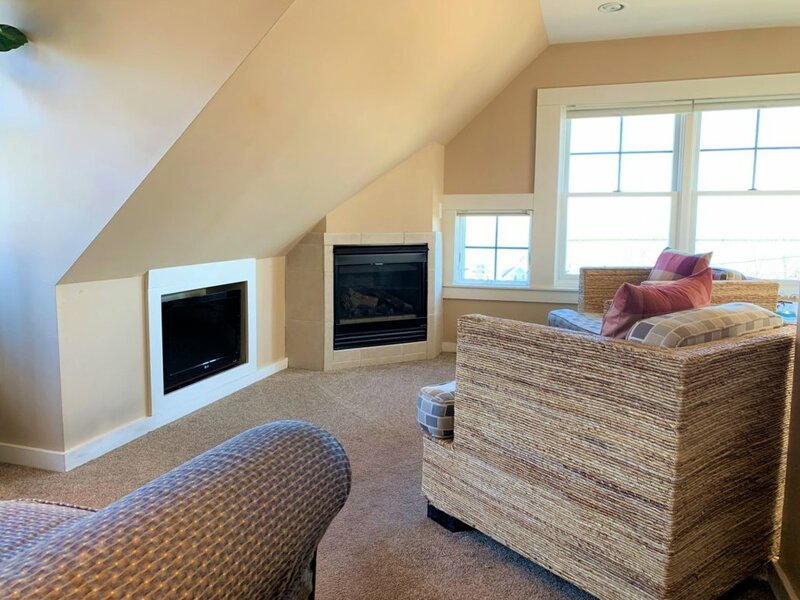 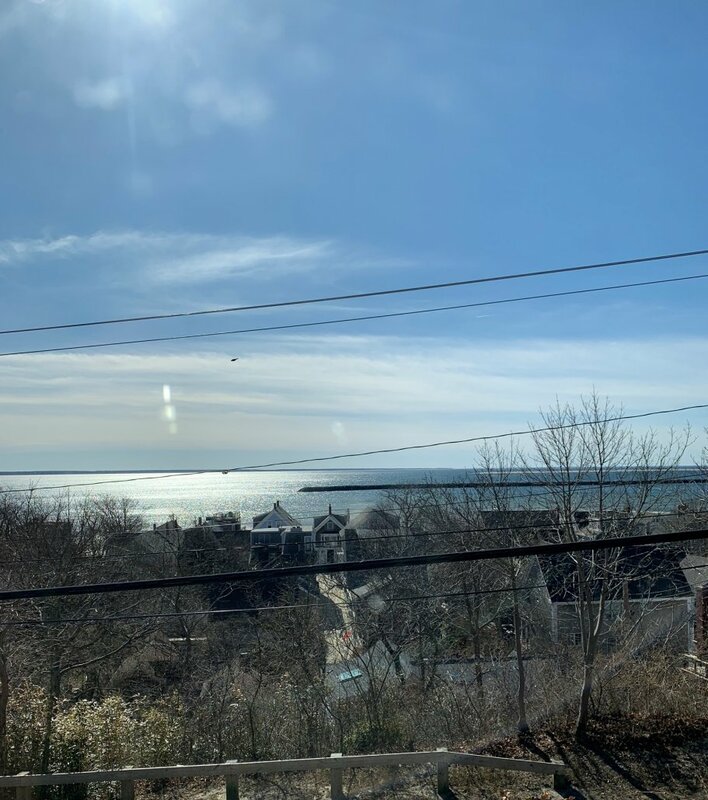 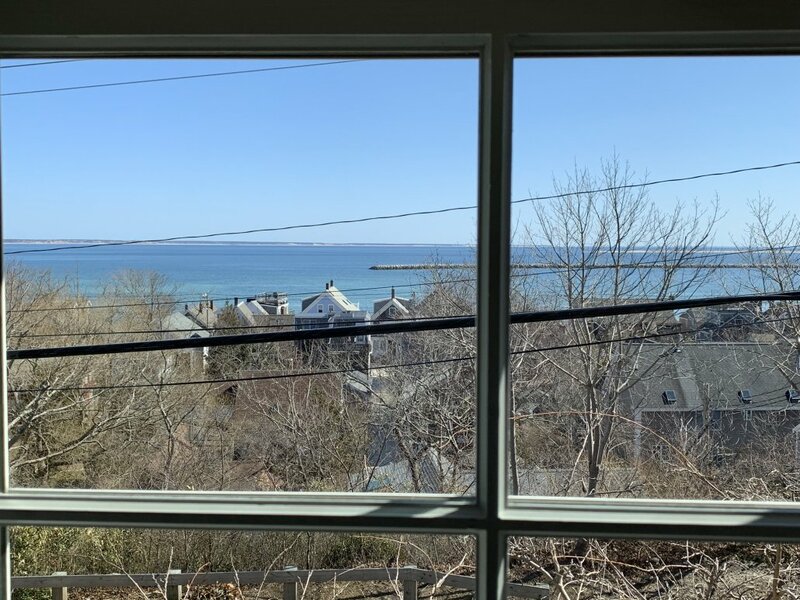 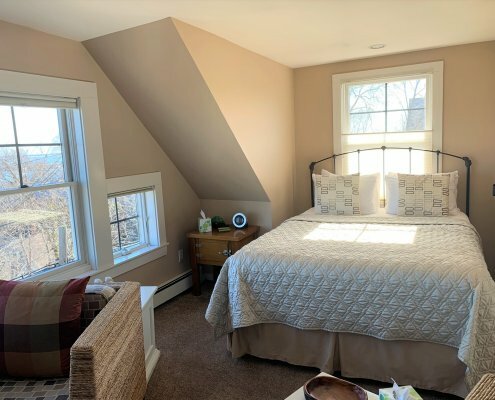 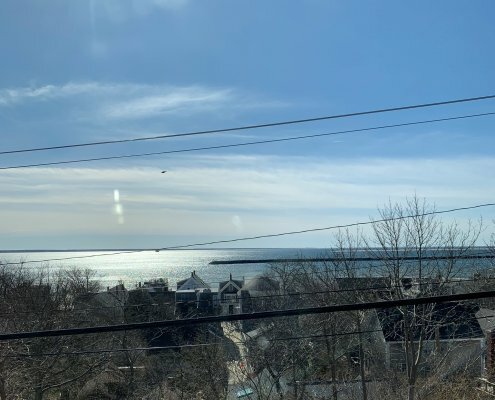 Aerie House at 184 Bradford Street is situated at one of the highest elevations within Provincetown and offers spectacular, panoramic views of Provincetown Harbor and Cape Cod Bay. Travelers to Provincetown can find accommodations to match any budget. 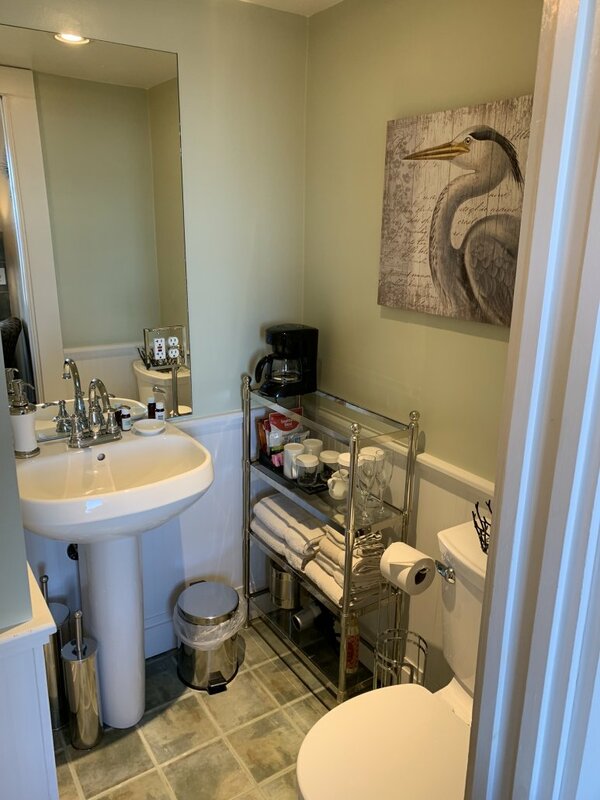 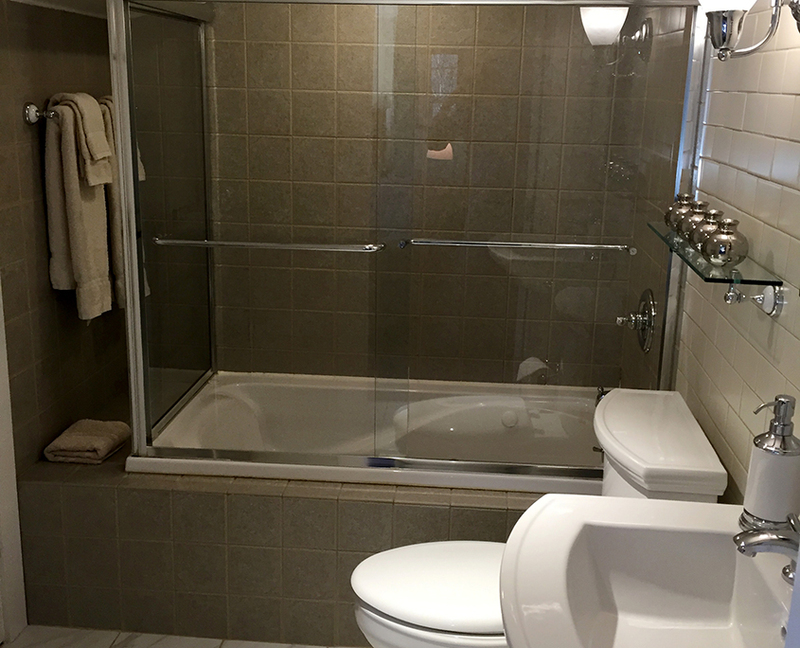 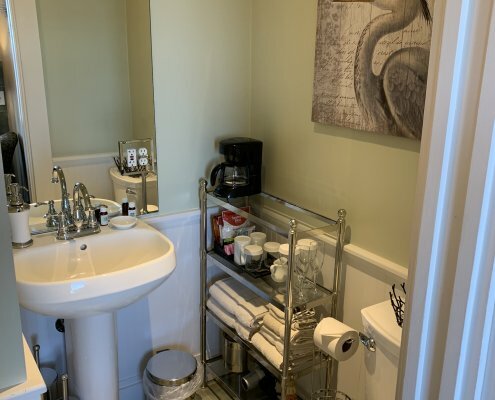 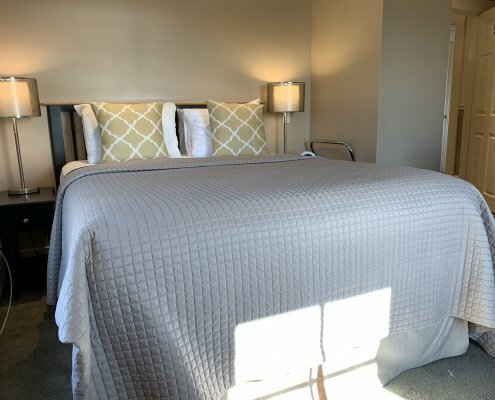 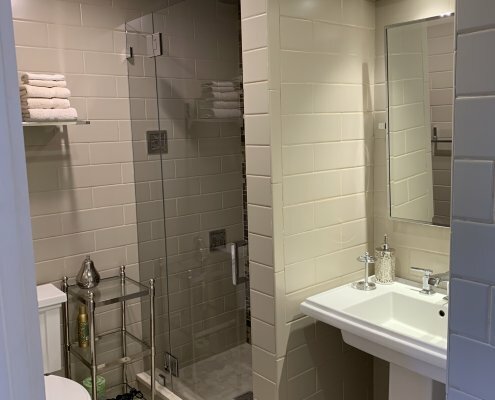 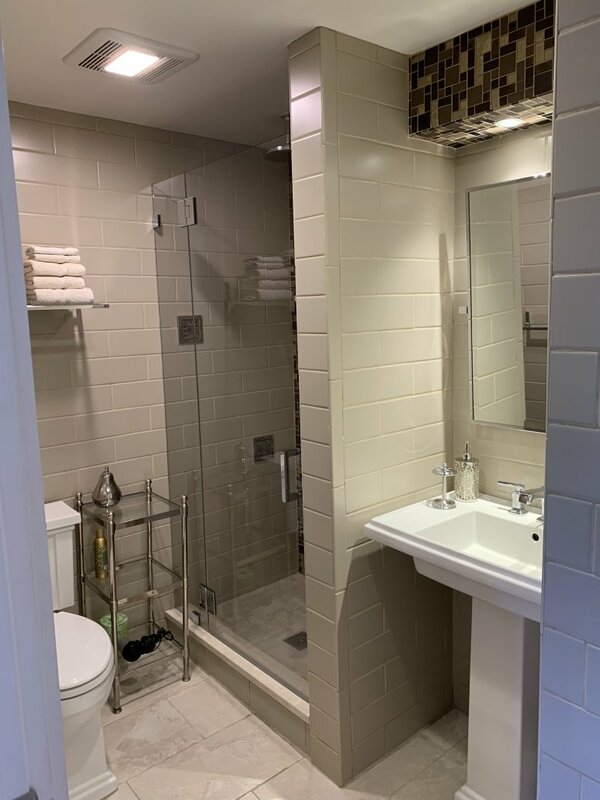 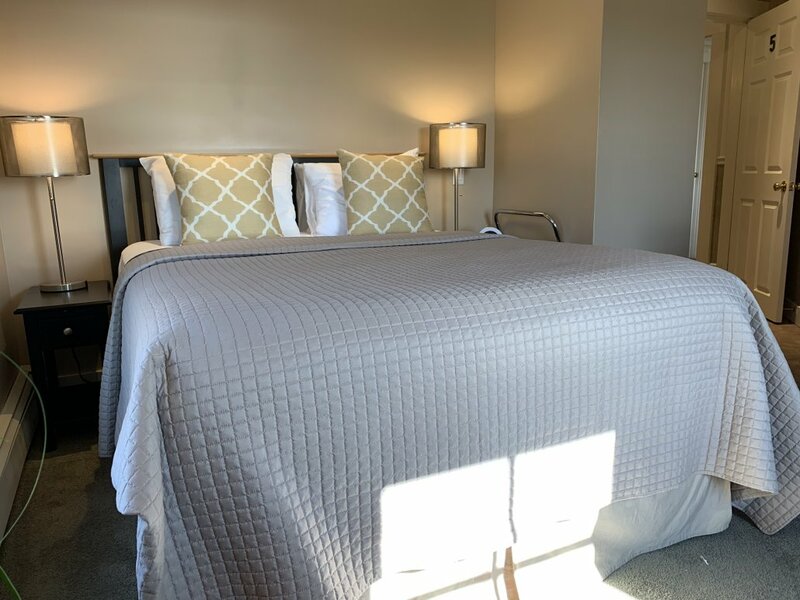 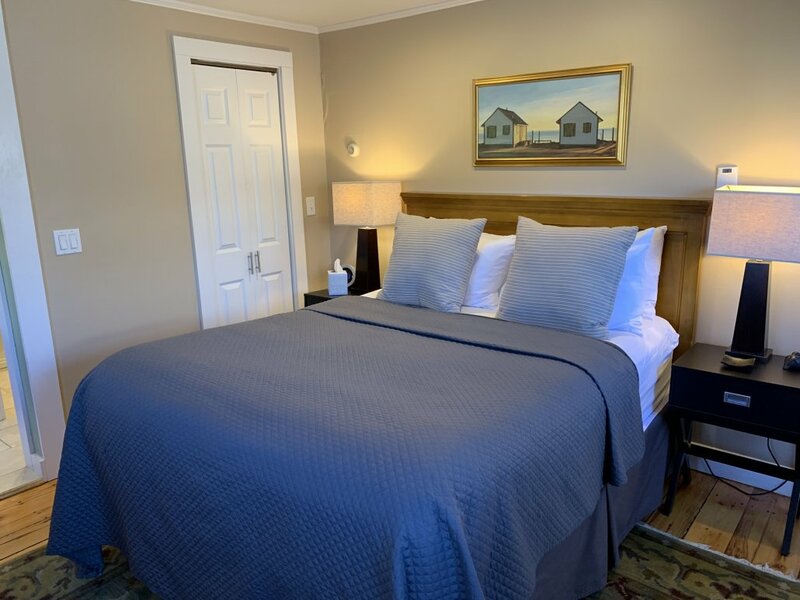 We have the right options whether one is seeking very affordable rates with our double rooms with shared bath, or looking for that special two-bedroom suite. 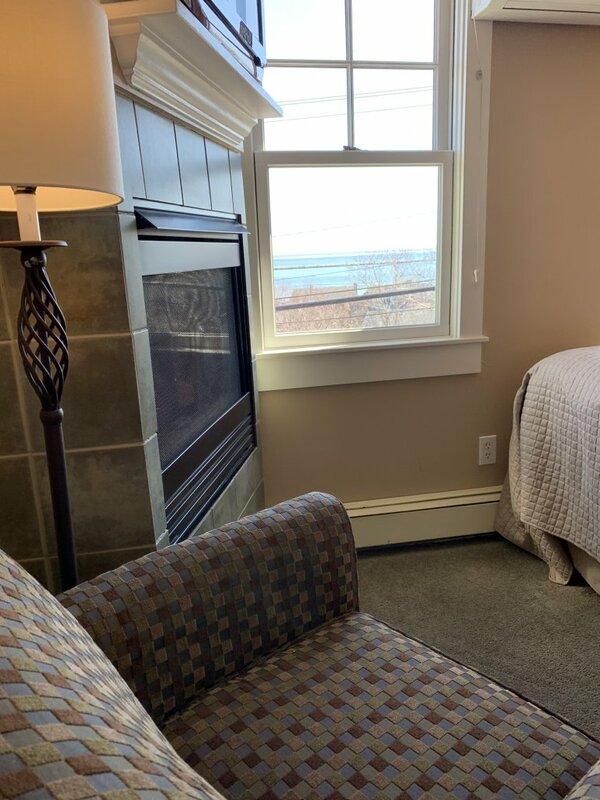 Curl up with a great book or simply gaze across the bay from our elegantly and comfortably furnished common room area where you can enjoy a roaring wood fire in the winter and Steve’s gorgeous orchids in bloom throughout the year from our on-site greenhouse. 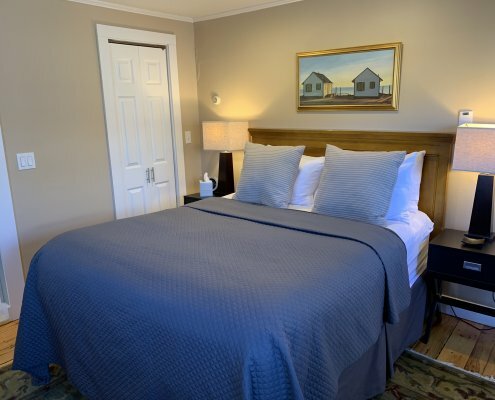 Stroll through our beautifully landscaped grounds and gardens. 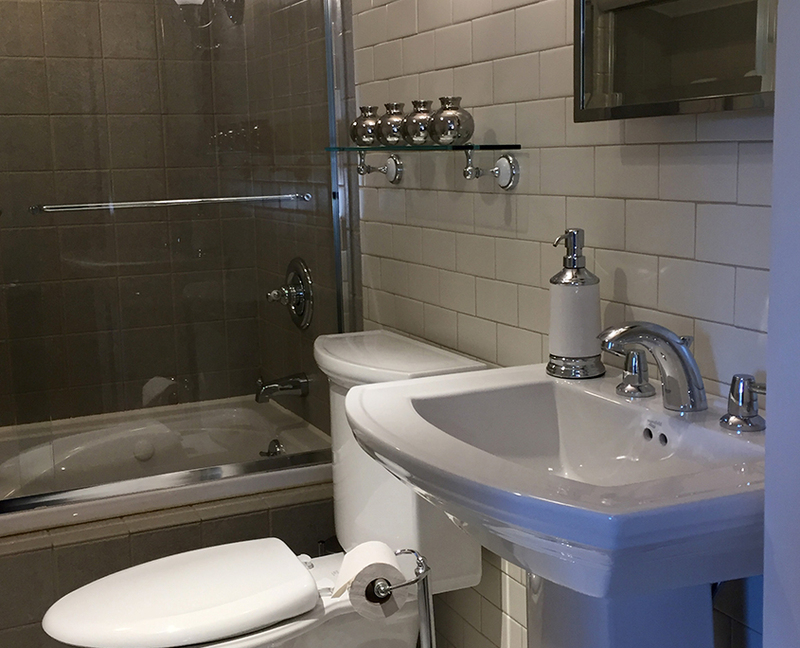 We even have our own beehive where we harvest our delicious honey which you can enjoy during breakfast. 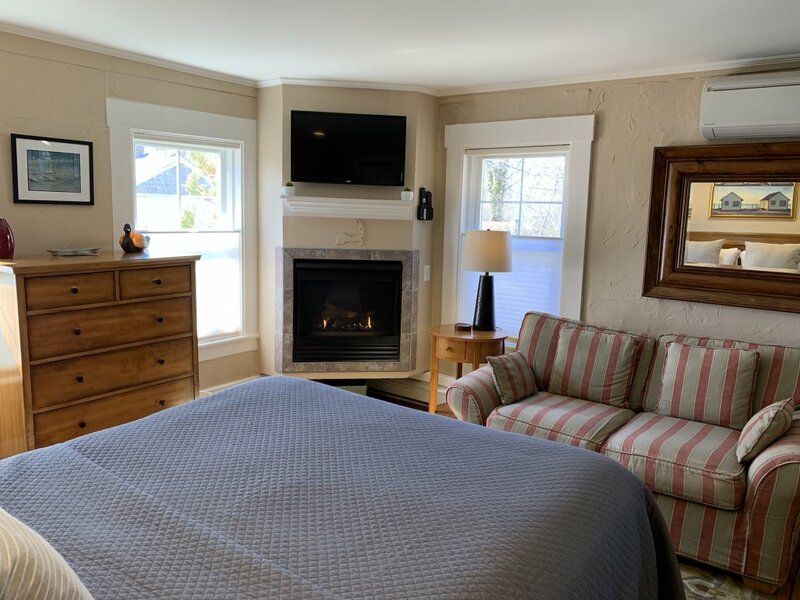 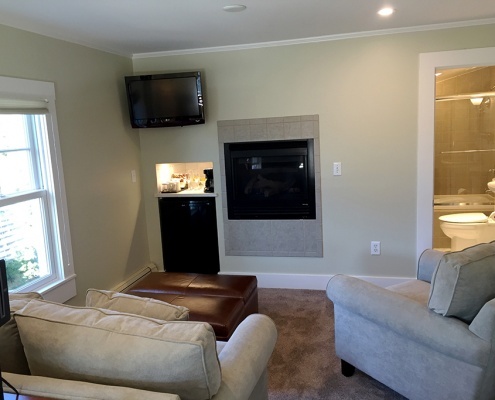 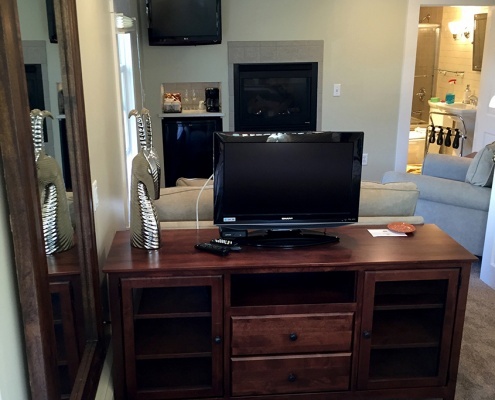 All accommodations feature pillow-top mattresses, air conditioning, refrigerators, coffee makers and supplies, flat screen TV’s with cable and built-in DVD player, CD alarm clock radios and Rooms 1, 2, 4 and 7 offer gas fireplaces. 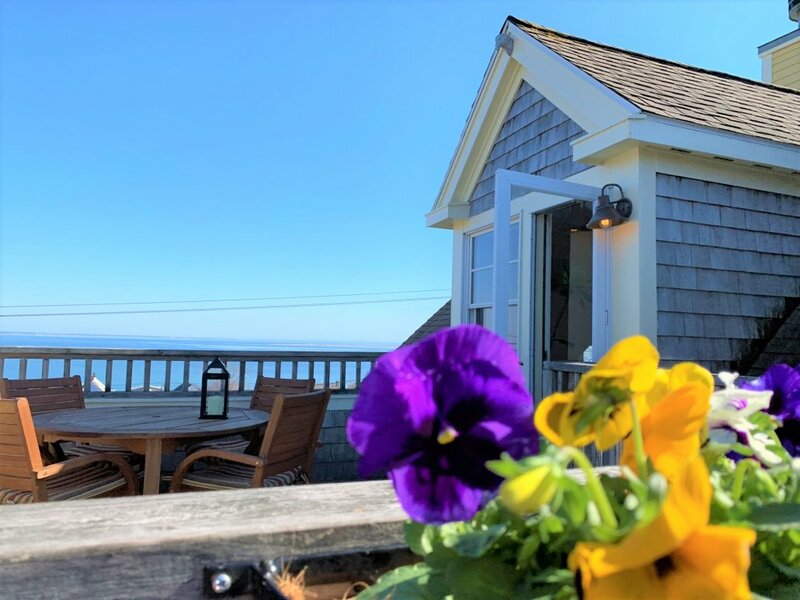 Guests can take advantage of our DVD library with over 1,000 DVDs, WiFi wireless high speed Internet, bicycles, an expansive bay view sundeck and our bay view hot tub. 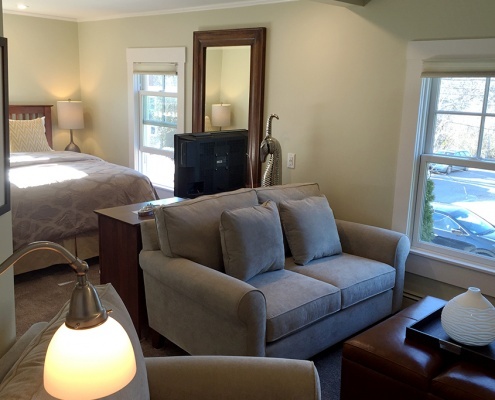 One parking space is available per room and complimentary champagne awaits you upon arrival. 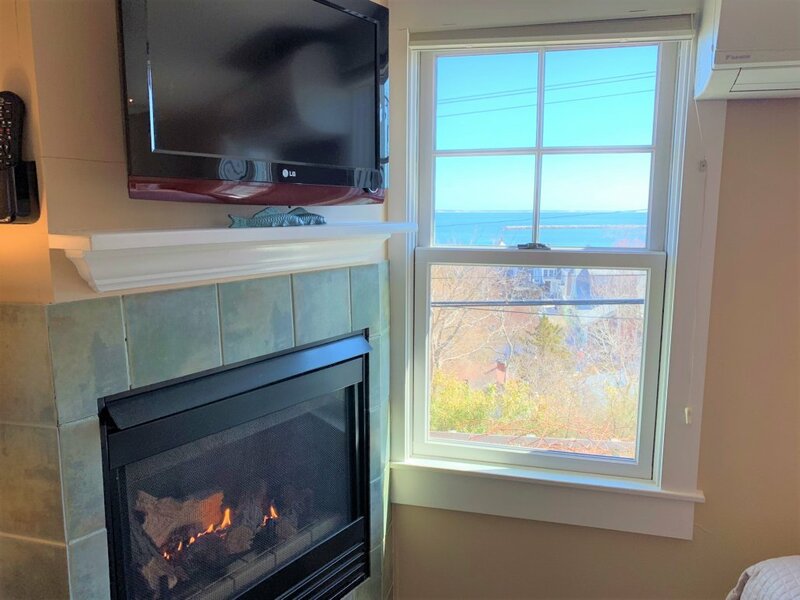 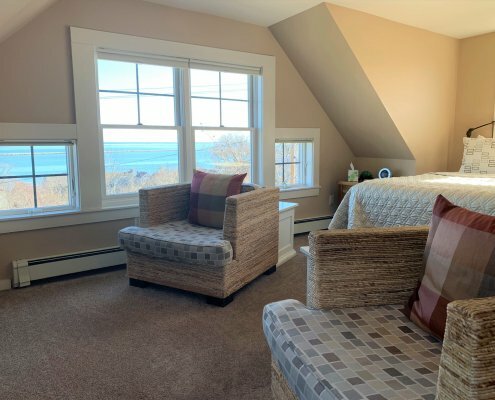 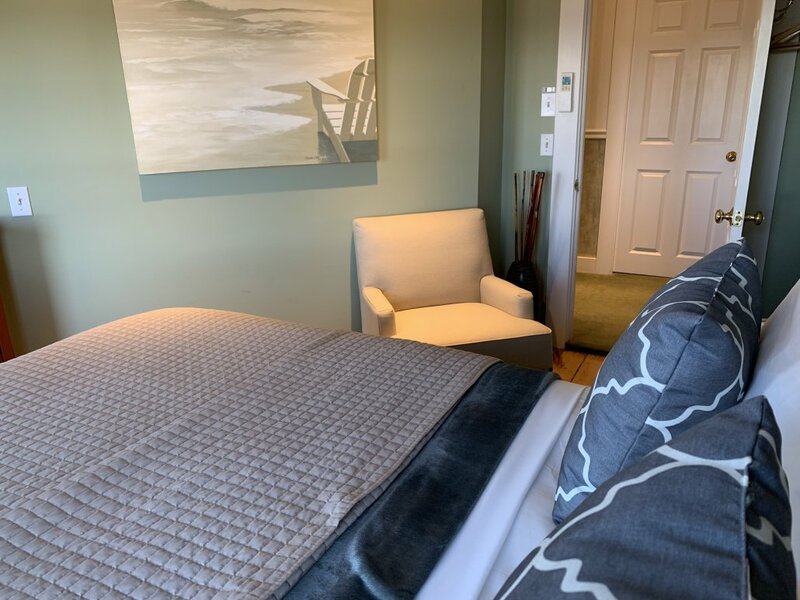 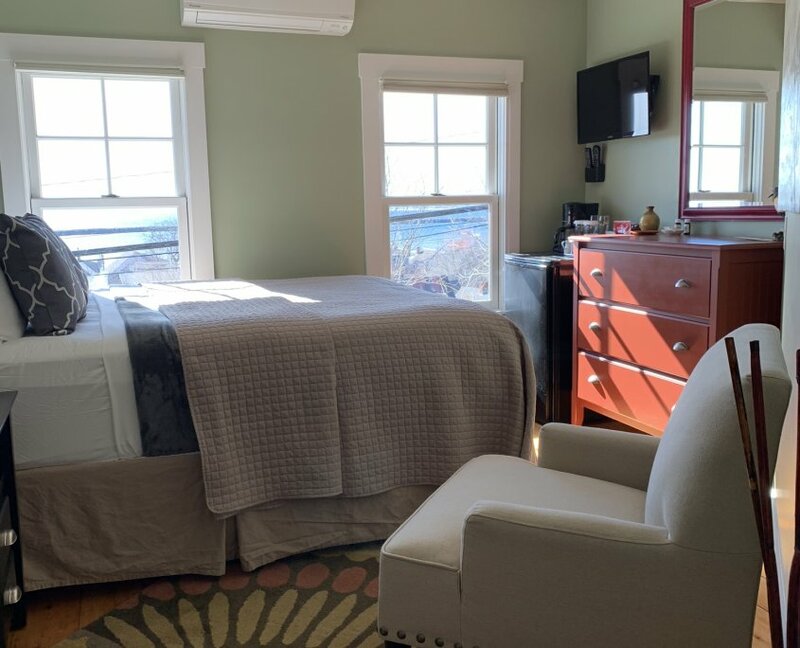 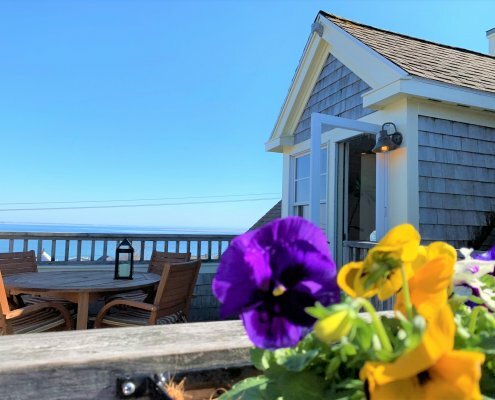 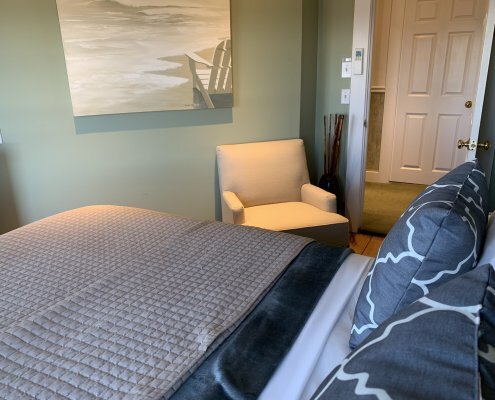 Enjoy unsurpassed views of Cape Cod Bay and Provincetown Harbor from this special two-bedroom suite occupying the entire third floor. 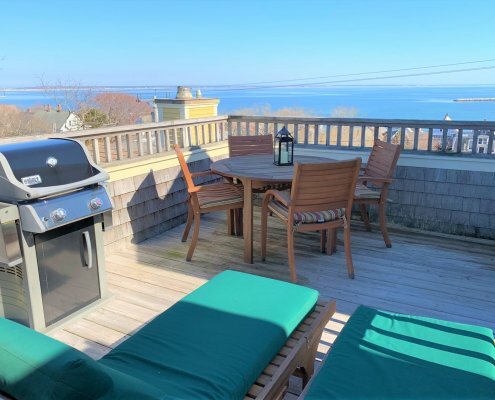 Private deck with gas grill, deck table with four chairs and two chaise-lounges, two bedrooms each with a queen pillow-top bed, sitting/living area with gas fireplace, loveseat and two large armchairs, large bathroom with a whirlpool tub and a service area with full refrigerator, microwave and coffee maker with supplies. The suite also comes with two flat screen LCD TV’s with built-in DVD players, WiFi, a CD clock radio with iPod dock and is air conditioned. 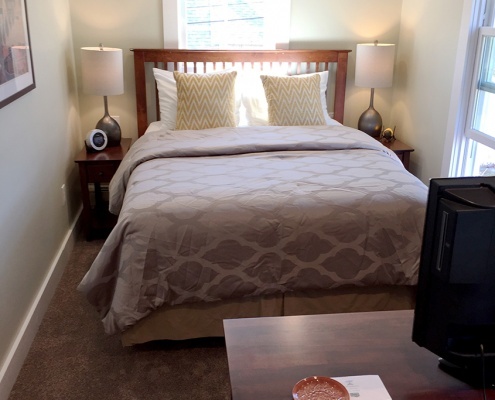 You will want to move in and never leave! Elegant and comfortable second floor room with private bathroom with shower, great harbor and bay view, queen pillow-top bed, upholstered arm chair for reading or relaxing, gas fireplace, flat screen LCD TV with built-in DVD player, CD clock radio with iPod dock, WiFi, refrigerator, coffee maker with supplies and air conditioning. Bright and charming, second floor room with great harbor and bay views. 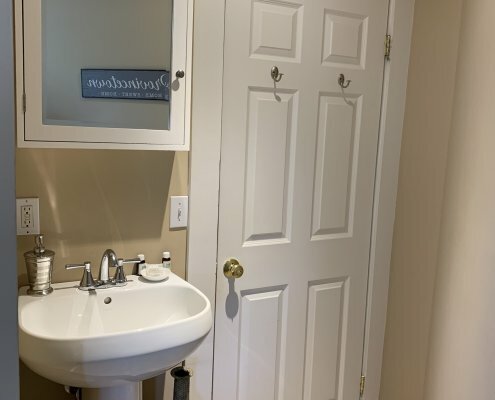 This room shares two hall bathrooms with Room 5. 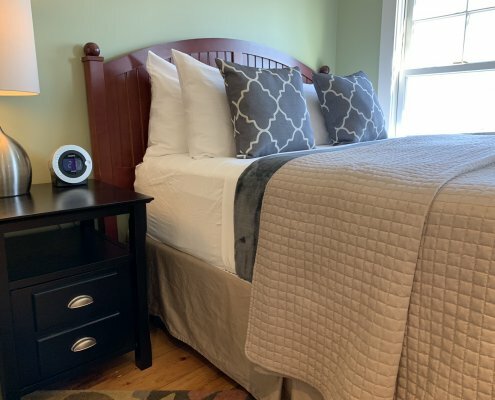 Queen pillow-top bed, upholstered arm chair for reading or relaxing, flat screen LCD TV with built-in DVD player, CD clock radio with iPod dock, WiFi, refrigerator, coffee maker with supplies and air conditioning. 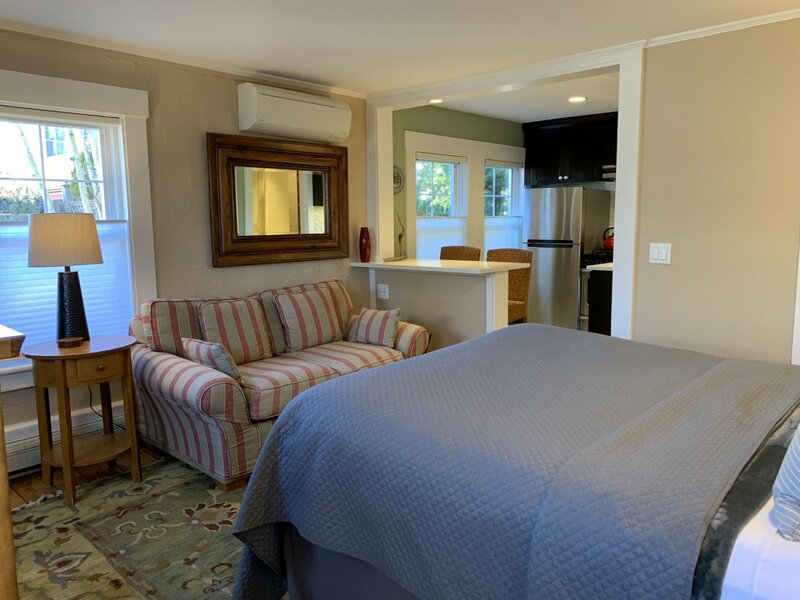 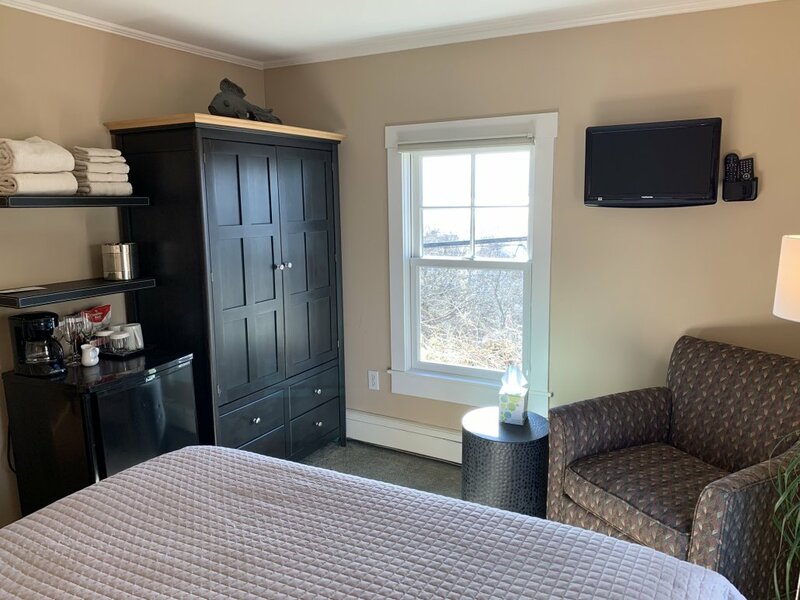 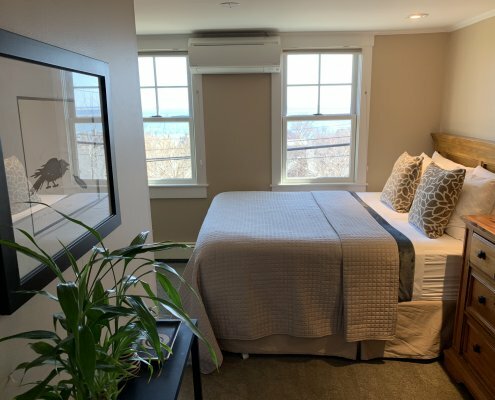 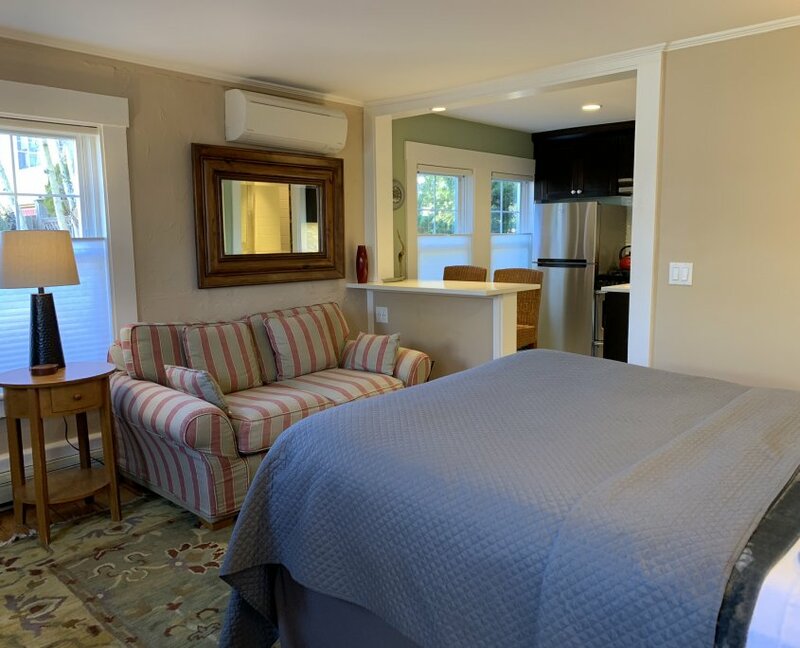 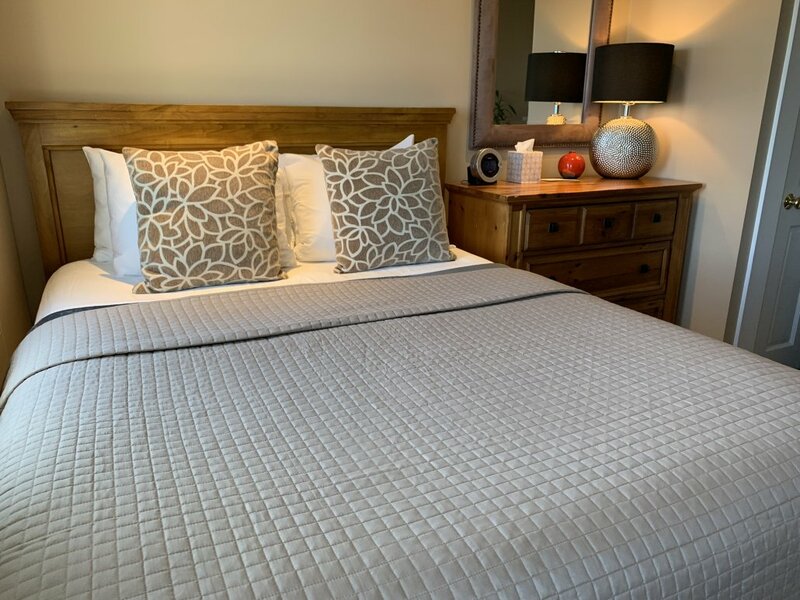 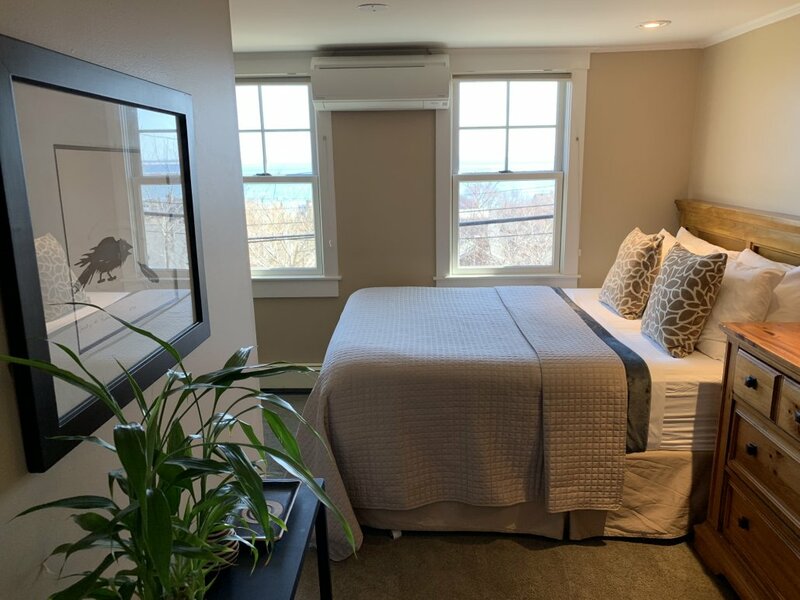 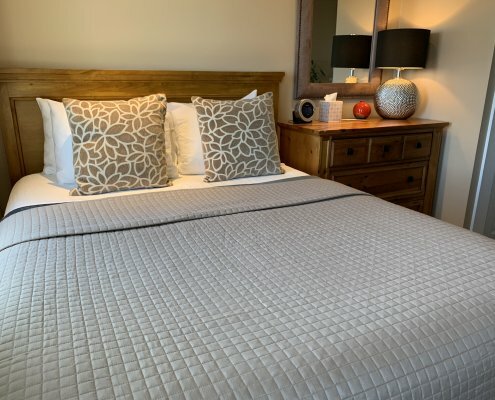 In early 2016 we combined our Guesthouse Rooms 4 and 6 to create an all-new junior suite featuring a queen pillow-top bed, sitting area, an aero-bed for a second sleeping area, a gas fireplace and a large elegant private bathroom with a whirlpool tub. 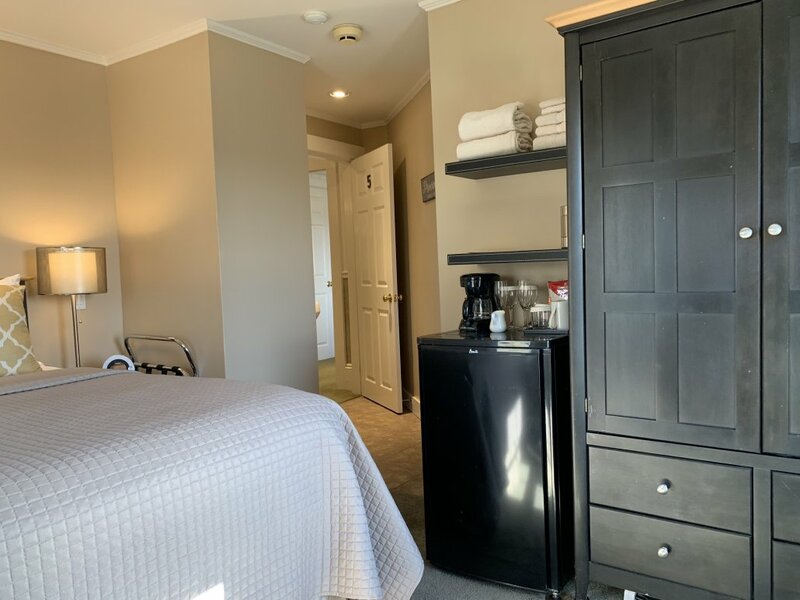 Flat screen TV with built-in DVD player, CD alarm clock, USB ports, WiFi, refrigerator, coffee maker with supplies and air conditioning. 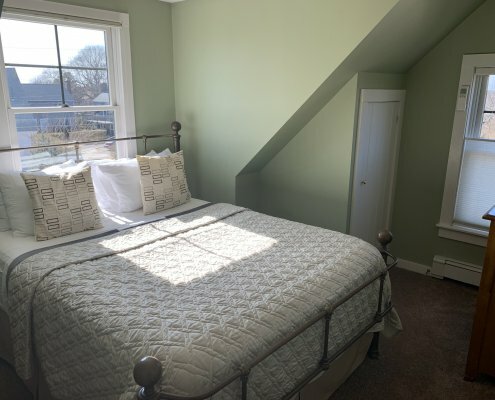 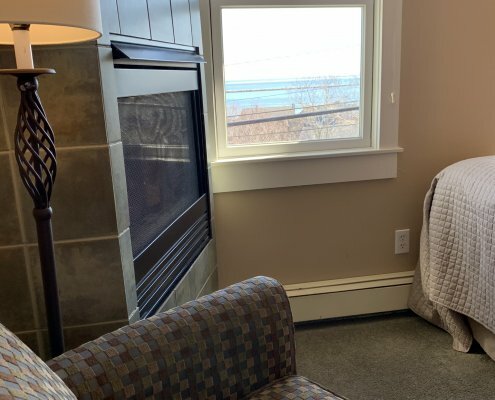 Sunny and comfortable second floor corner room with a great harbor and bay view. 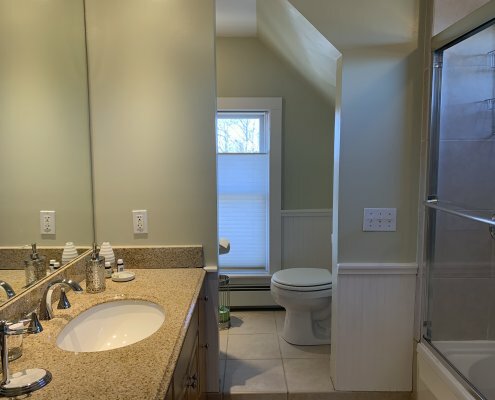 This room shares two hall bathrooms with Room 3. 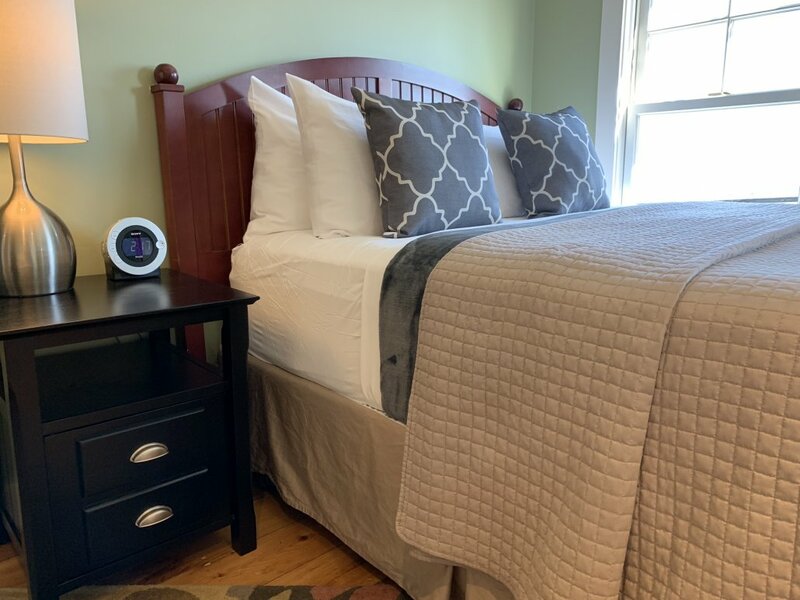 Queen pillow-top bed, upholstered arm chair for reading or relaxing, flat screen LCD TV with built-in DVD player, CD clock radio with iPod dock, WiFi, refrigerator, coffee maker with supplies and air conditioning. 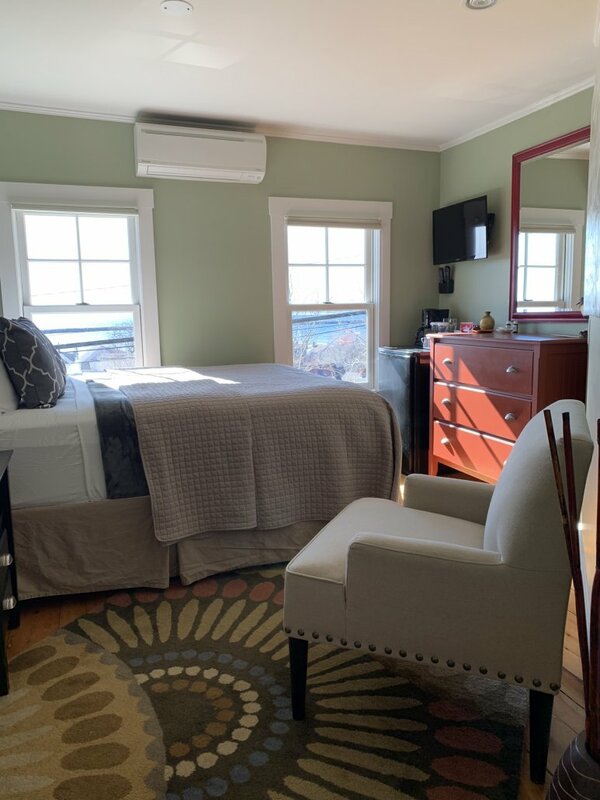 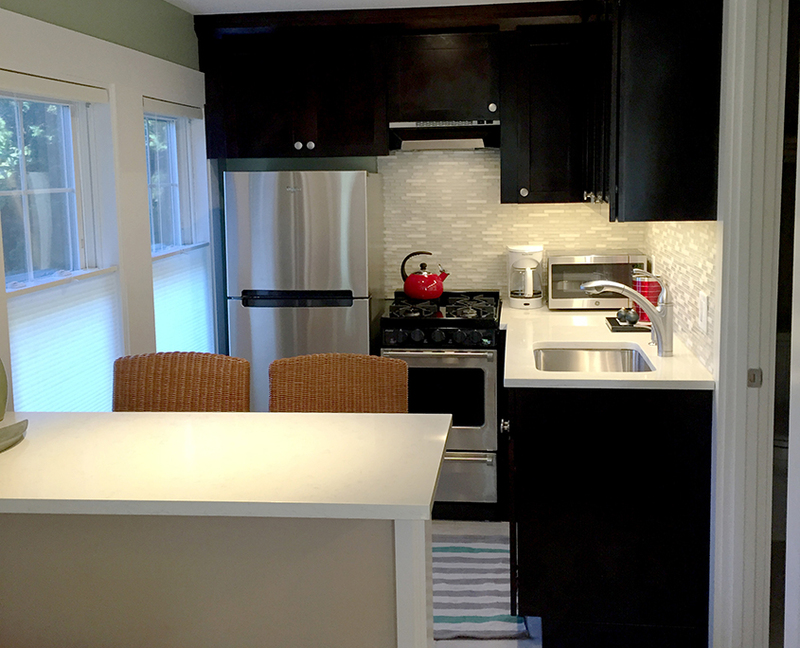 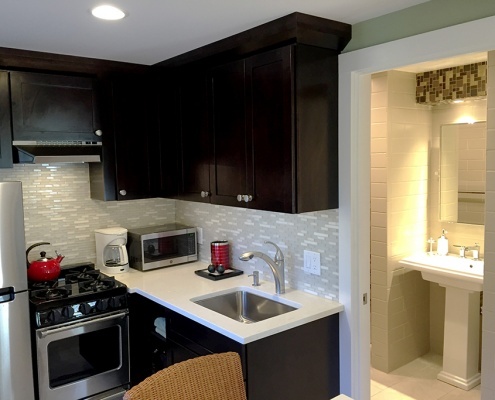 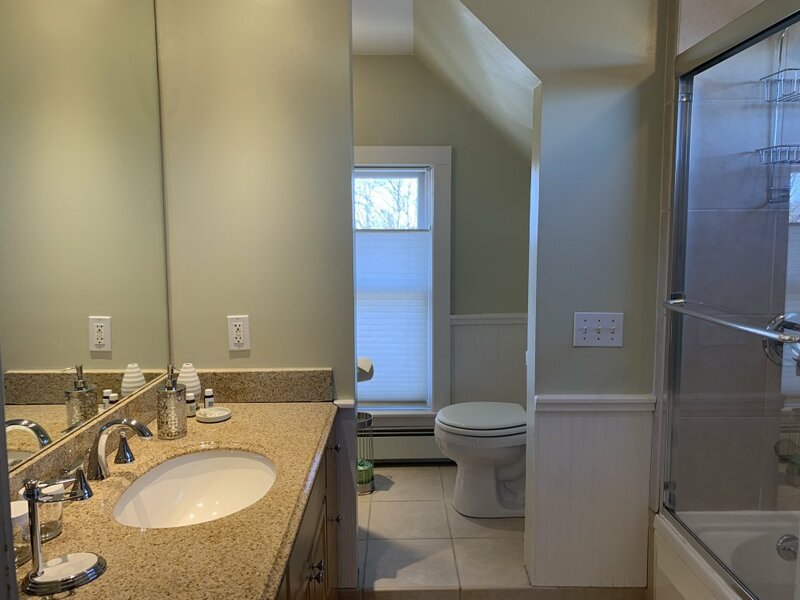 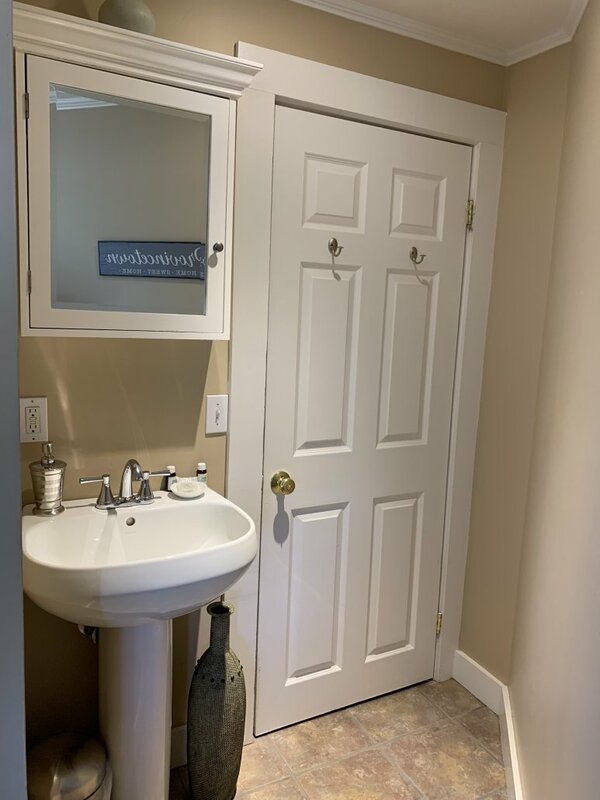 Spacious, charming and extremely comfortable first floor garden view efficiency apartment which was totally remodeled in 2015. 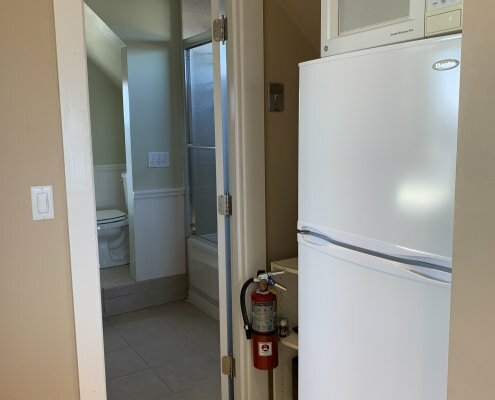 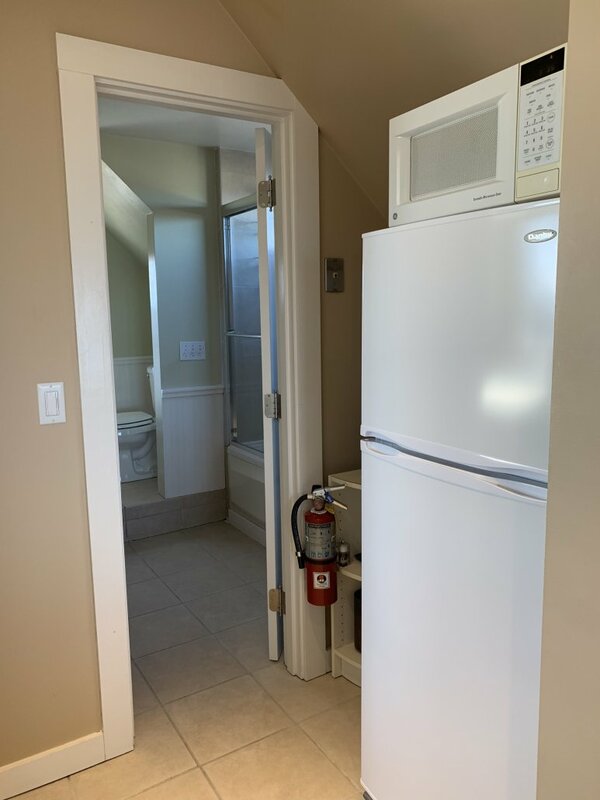 Featuring an all-new kitchen with stainless steel appliances, quartz counters and dining island and a beautiful tiled bathroom with a large rain shower with four body jet sprays and radiant in-floor heating to take the chill off those early mornings. 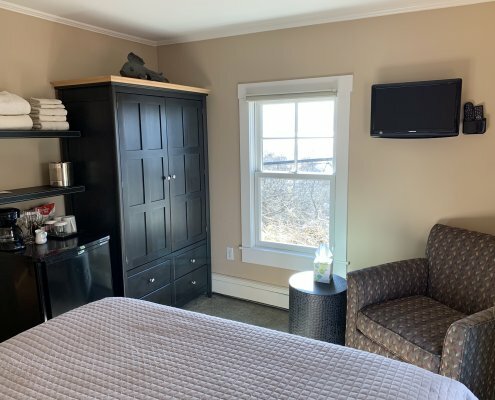 Queen pillow-top bed, loveseat, gas fireplace, flat screen TV with built-in DVD player, CD clock radio, USB ports, WiFi and air conditioning.